Home to the Challonais vineyards, wine connoisseurs and cyclists alike will enjoy this beautiful route. The Central Burgundy Canal, or Canal du Centre, links The River Saône to the Canal laterale à la Loire. 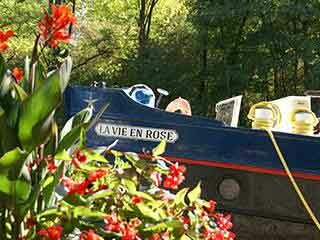 It also links to Canal du Nivernais on the way past! Opened in 1792, it enabled boat traffic to travel from the north of France to the south for the first time. Cruise this idyllic and peaceful waterway past vineyards and pastures with the white Charolais cattle, which are the hallmark of Burgundy.